On the 20th December Lily was just aged 6 weeks when she was suddenly taken unwell – at this moment in time we had no idea of the cause of her sudden illness. After being in our local hospital for less than 12 hours it became obvious that she needed more support and suddenly our world was turned upside down, Lily was struggling so much to breathe that they decided to intubate her to help with her breathing. The quick acting nurses and doctors contacted St George’s Hospital in Tooting and she was prepared to be transferred. From the moment we arrived at St George’s Paediatric Intensive Care Unit (PICU) we were informed of everything that was happening and what they were planning on doing to find out what was happening. 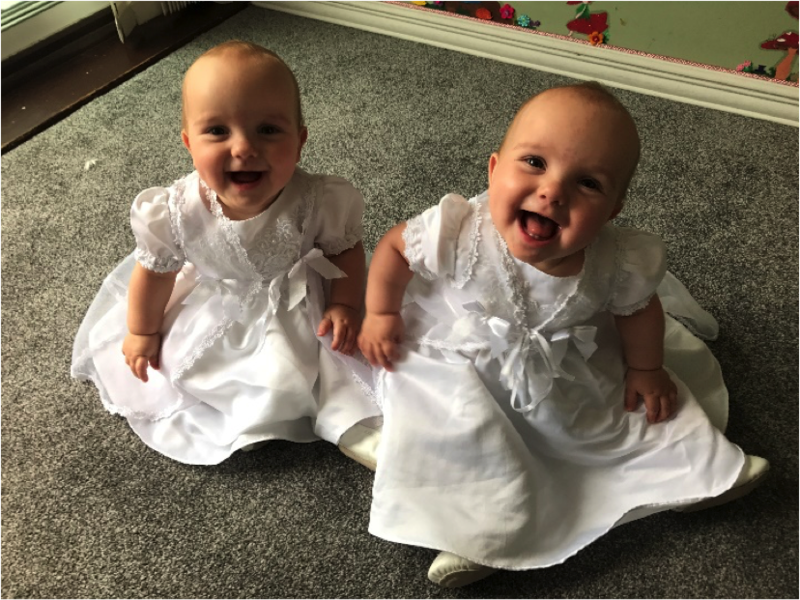 After a few days Lily was diagnosed with bronchiolitis to which she started to receive antibiotics and blood transfusions and started to get better, following this Lily showed improvement and soon came of the ventilator- just in time for Christmas day (and to see her twin sister join her for a few days in PICU). Everything seemed to be doing well but then Para-influenza type 3 decided to kick in knocking Lily sideways and after watching Lily for 4 days battling the flu she then needed more help and went back on the ventilator. 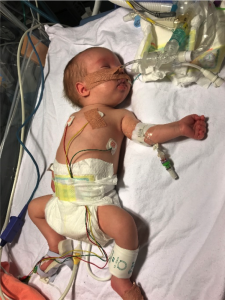 Lily remained on the ventilator for another week whilst having various antibiotics and another blood transfusion before being strong enough to come off the ventilator. This entry was posted in Patient Journeys and tagged bronchiolitis, life support, Lily, paediatric critical care, twin. Bookmark the permalink.